Yes, yes, yes, Chariots of Fire, the 1981 movie that won four Oscars in telling the story of track and field at the 1924 Paris Olympics, is all about the sprints, not cross-country. OK, OK, OK, Chariots of Fire is about the Olympics but something bigger. It’s a story about British athletes at those 1924 Paris Olympics, one who is a devout Scottish Christian running for the glory of God, the other an English Jew and what it takes to overcome prejudice. People, we need not quibble here with details. This column is about cross-country. When people think about Paris and the 1924 Olympics, what do they think of? The iconic beach running scenes from the movie, right? The sunlight! The sand! The sea foam! Especially since Mr. Bean — Rowan Atkinson — had great fun with the whole thing during the opening ceremony of the London 2012 Games. The 2024 Games will be 100 years since the Games were last in Paris. As things happen, those 1924 Games were also the last time cross-county was on the Olympic program. Paris 2024 organizers want cross-country back. So does track and field’s world governing body, the IAAF. In the aftermath of the IAAF’s just-concluded — and very successful — cross-country championships in Denmark, you see where this is going? “It probably goes without saying that I love athletics, but I probably, if I really was going to wear my heart on my sleeve, I really love cross-country,” Coe said at the opening news conference at those 2019 IAAF championships in Aarhus, Denmark’s second-biggest city. The Paris 2024 people have already been presented with some very, very serious financial and logistical challenges. The country, moreover, is enmeshed in layers of political and culture clash that carry unpredictable and potentially inflammatory security ramifications. For all that, Paris 2024 organizers — 18 months after the double-award with LA28 — have set about refashioning the Olympic program in asking for skateboarding, surfing, sport climbing and breakdancing. International Olympic Committee president Thomas Bach’s Agenda 2020 principles and the lab work done last fall at the Buenos Aires Youth Games have made plain that a 21st-century Games program must be relevant, especially to young people; engaged with the community; widely accessible; and, at the risk of being stupid obvious, fun. Thus — to the horror of traditionalists — breakdancing. Thus — to the delight of traditionalists — cross-country. The individual gold medalist in cross-country in 1924 (it was men’s-only back then) was one of the greatest Olympic champions ever, Finland’s Paavo Nurmi. He was also the gold medalist in the event at the 1920 Antwerp Games. Between 1920 and 1928 Nurmi won a record nine Olympic gold and and three individual silver medals; in his career, he would set 22 official and 13 unofficial world records; there is a copy of a Waino Aaltonen statue of him in, among other places, the garden of the Olympic Museum in Lausanne, Switzerland, just down the road from where the IOC is based. Endurance, focus and strategy, sure. But also big fun, because you’re out there in the mud, and that’s what kids do. Kids play. In the mud. We need more stuff that reminds us, vividly, that sport is play, and to their credit that is something the Paris 2024 people seem to understand, and keenly. 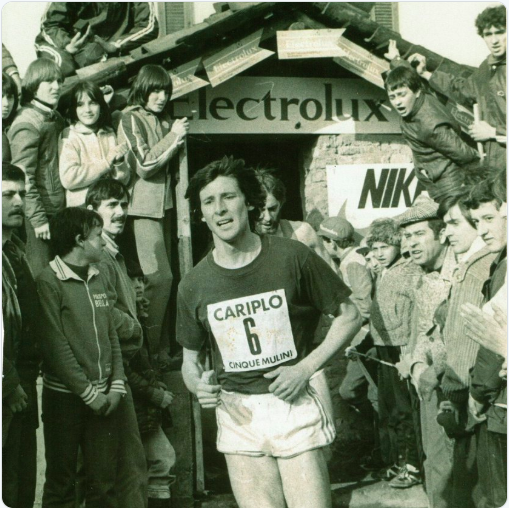 Cross-country is by no means a lock to come back for Paris 2024 — though if it does, enormous credit should go to, among others, Franco Fava, the Italian sports journalist who is himself a former Olympic athlete, eighth in the men’s marathon at the 1976 Montreal Games. He and others have tirelessly campaigned for cross-country’s return. Indeed, in 2008, three of the greatest figures in distance running — Kenenisa Bekele, Haile Gebrselassie and Paul Tergat — wrote an open letter to then-presidents of the IOC and IAAF urging a return of cross-country to the Games. Gebrselassie, from Ethiopia, is the 1996 and 2000 10k gold medalist; Bekele, also Ethiopian, the 2004 and 2008 10k gold medalist and 2008 5k gold medalist; Tergat, from Kenya, now an IOC member, is the 1996 and 2000 silver medalist, the 2000 Sydney 10k considered one of the best races ever. Summer or Winter Games, they said, and many observers have lobbied for cross-country to be added to the Winter program. It is exceedingly unlikely to happen. IOC rules clearly say Winter Games sports are those that are played on ice or snow. That cross-country races sometimes happen on courses dotted with snow or ice is not enough. Beyond, the Winter sports federations don’t want to open their tent to the big, bad IAAF — sports politics is real. The first issue working against it is that track and field — as a sport — is under increasing, and real, pressure to give up quota spots on the program so that sports such as surfing, skateboarding, sport climbing and breakdancing can get in. The IOC is semi-adamant that the number of athletes at a Games should stay at about 10,500. The second is that making room for cross-country within the diminished number of spots that are going to be allocated to track and field in 2024 (that number is not yet known) necessarily will mean that — hypothetically, don’t send hate mail just yet — there could be fewer athletes in the preliminary rounds of the men’s or women’s 100s, or those qualifying at all for women’s discus or men’s javelin or you get the idea. Or race-walking. OK, bring on the hate mail. Seriously — why race-walking? Especially if you have the marathons and cross-country. If it’s numbers in the men’s or women’s 100, and to be honest that’s a very logical place to start cutting spots, how might that affect athletes traditionally at the Games from developing nations under what the IOC calls “universality” spots? These are all difficult, challenging — good journalism word here, vexing — issues. Indeed, the most vexing challenge facing the return of cross-country for Paris 2024 may be far more elemental. Ugandan men finished 1-2, Joshua Cheptegei four seconds ahead of Jacob Kiplimo, the winning time 31:40. Kenya’s Geoffrey Kamworor, the defending champ, finished third, 15 seconds back. All that pain? Here’s the thing. Real people ran with these elite athletes. The course was open to normal folks. The Paris 2024 marathon course is going to be open to anyone and everyone. Oh, hey — detect a theme? In Aarhus, 503 elite athletes took to the start line; so did 2129 recreational runners. Total laps: 6,221, per the IAAF. The youngest athlete: 15. Oldest: 40. That 2008 open letter from the three great African champions sums up cross-country’s appeal even as it foreshadows one other reason for it to return — to correct a historical wrong. In 1924, as the official report notes, temperatures reached 103 degrees, or 40 celsius. Adding to the racers’ woes: fumes from a nearby industrial chimney. Only 15 of the 38 racers finished. So are those of 2024 as we see them now in 2019. But not insoluble. Cut the Vangelis, people. See you out there. In the mud.